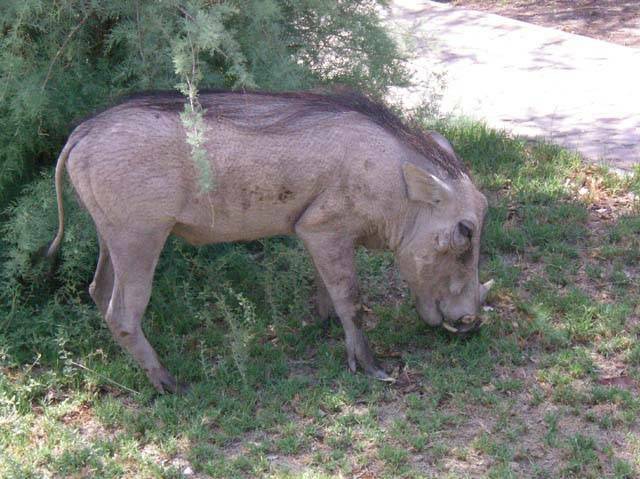 Etosha National Park in Namibia is one of the greatest safari game parks in Africa and the world. 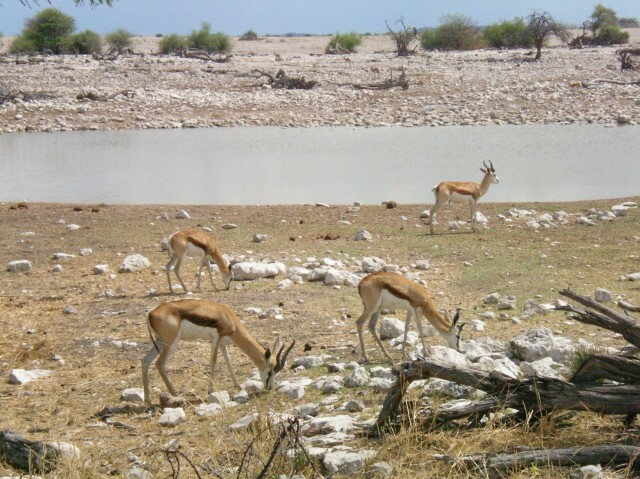 Etosha Pan is an immense span of sand which was once a lake. The word Etosha translates as "Place of Mirages", "Land of Dry Water" and the "Great White Place". 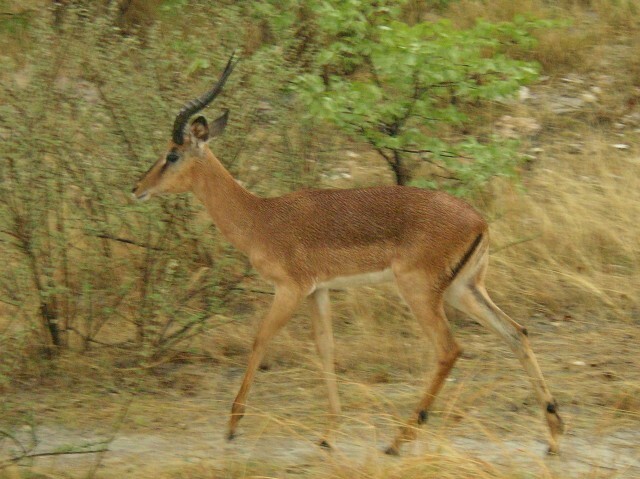 Okaukuejo rest camp in Etosha is the western most camp in the National Park. 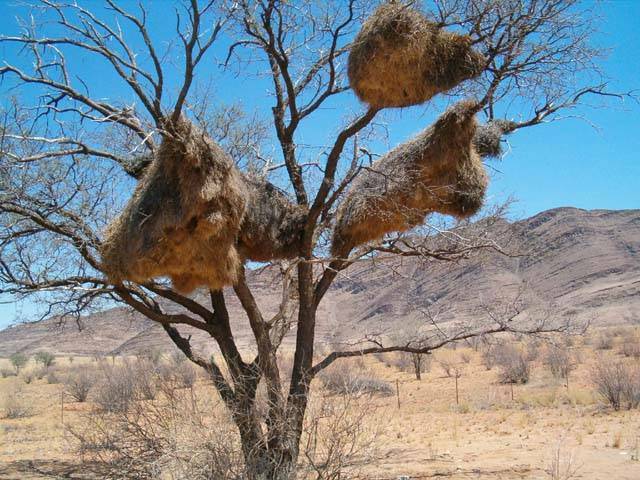 It was the first camp to open in Etosha. The rest camp has an information office, an all important gas or petrol station, a souvenir shop, a supplies shop, an excellent and clean adult swimming pool with a smaller wading pool for children close by, a nice bar area with cable television and a large restaurant serving buffet meals. For accommodation, Okaukuejo has numerous tent pitches for do it yourself campers or bungalows to rent for self-catering. Each campsite has it's own barbecue area for evening meals, power point, a kitchen for dishes and shared ablutions. The self-catering cottages have barbecue facilities. The watering hole in Okaukuejo is the best of the rest camps. Rhino, giraffe, elephant and lion all stop off here for a refreshing drink just a few metres away. 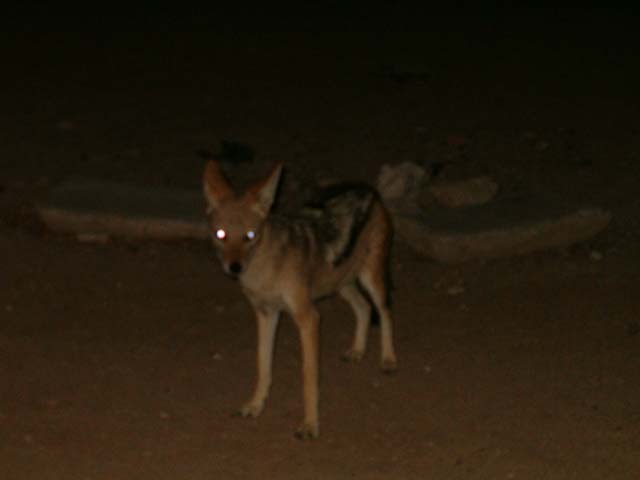 The watering hole is floodlit at night, which makes it extra special, and the parks' night creatures come out and visit under the cover of darkness. 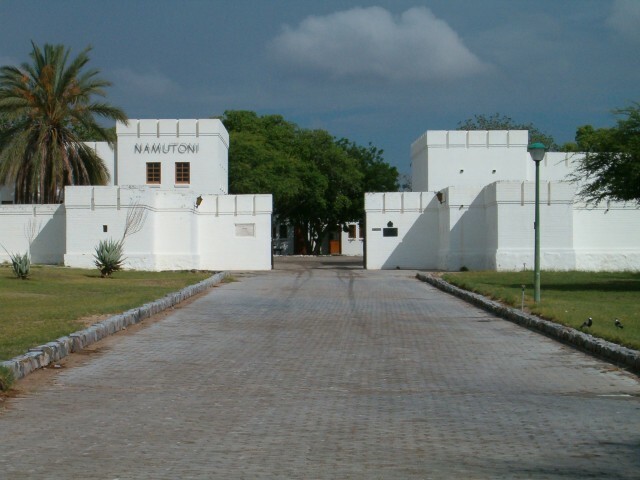 Halali rest camp Halali rest camp is located centrally in Etosha Park. It is the latest camp to open. There is an information office, a shop, a pool to cool down in, a petrol or gas station and a restaurant. 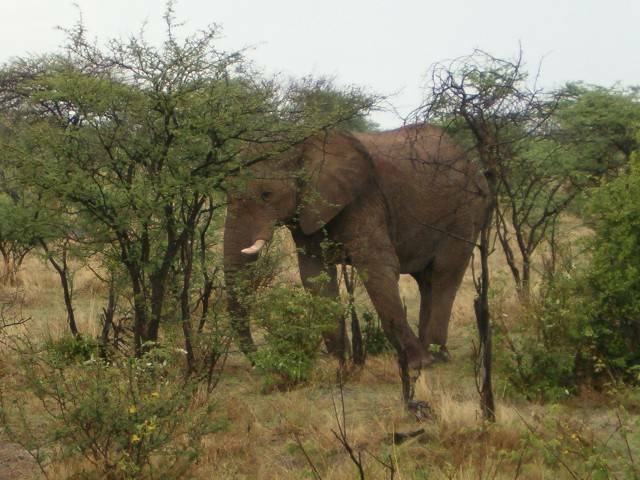 As with Okaukuejo rest camp, Halali has both camping and bungalows as options for accommodation. Each campsite has it's own barbecue area for evening meals, power point, a kitchen for dishes and shared ablutions. The self-catering cottages have barbecue facilities. 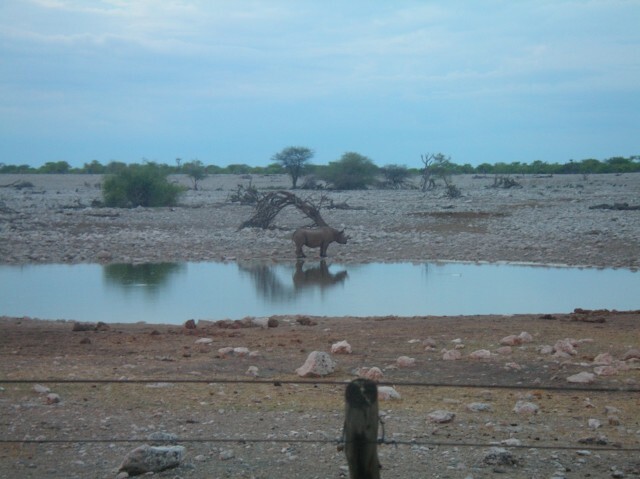 The watering hole, the Moringa waterhole, at Halali camp is an artificial one created amongst the mopane trees. 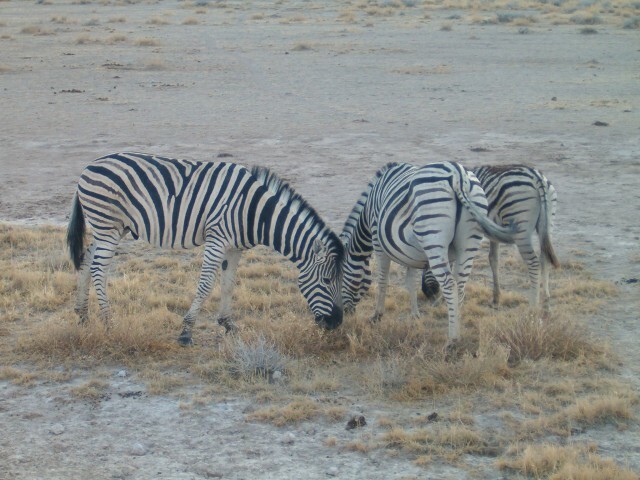 Namutoni rest camp is located on the far eastern side of Etosha Pan. A notable feature of the Rest camp is the impressive white fort near the entrance. It was originally a police outpost and later served as a prison during the first World War before taking on it's present duties. Namutoni Rest camp also has an information office, a reliable gas or petrol station, the ever present souvenir shop, a supply shop, a swimming pool, a decent bar for a cold one and a restaurant with buffet meals. Accommodation wise, Namutoni has many tent pitches, and bungalows to rent for self-catering. Each campsite has it's own barbecue area for evening meals, power point, a kitchen for dishes and shared ablutions. The self-catering cottages have barbecue facilities as well. Namutoni's waterhole is also worth a view with the possibility of seeing hyena. Roads The roads in Etosha National Park are well keep and are navigable in a normal vehicle. For better vantage points, a higher vehicle, such as a truck or bakkie is advisable. Trucks are also better to handle the dirt roads in the park, especially after heavy rains. 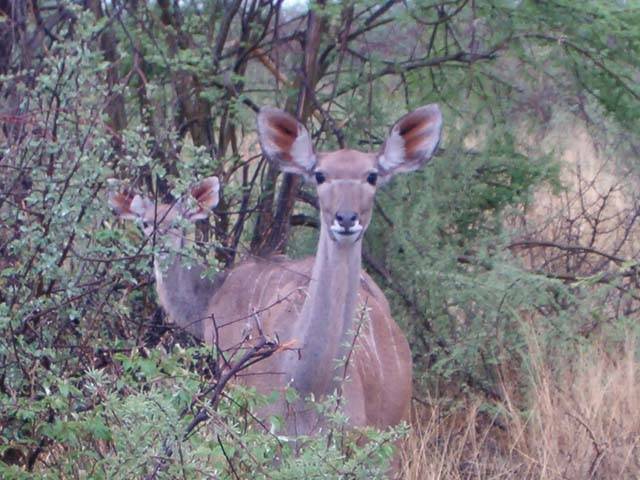 Stick to the marked roads, drive slowly at the speed limit of 60 km/h and be careful of the animals. 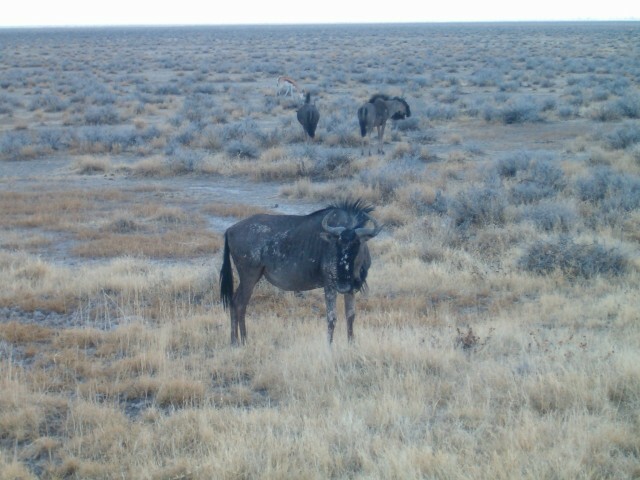 Etosha features four of the Big Five. 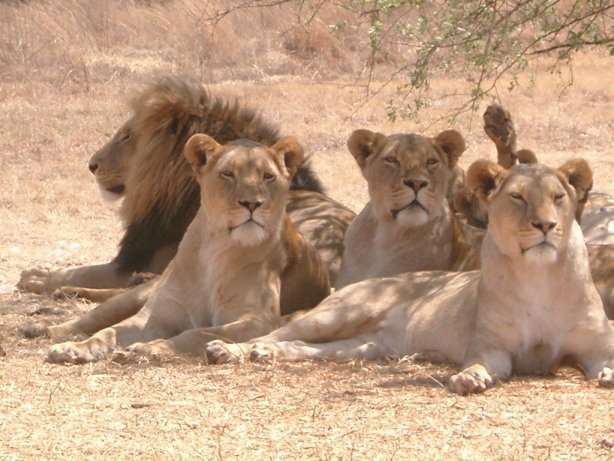 These are elephant, lion, rhino and leopard. 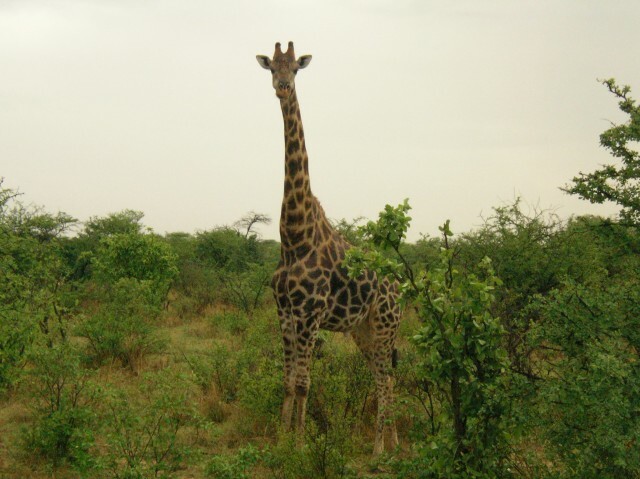 Below is a selection of the animals you may see while visiting the game park. Cooking If you are staying in one of self-catering cottages available at all the rest camps, cooking and barbecuing will not be much hassle. There are supply stores on site but it may be wiser to bring a reasonable quantity of food and firewood or charcoal with you before entering the park. Camping on the other hand will force you to use your portable stoves or barbecue. All the campsites have access to barbecue or braai areas in addition to kitchens and sinks to clean your dinnerware. Spend the evening cooking up some kudu or a potjie around the campfire.